Summer may be ending but jazz in the Twin Cities continues to run hot. And showing plenty of stamina over a career spanning about 7 decades, Minnesota’s First Family of Music matriarch Jeanne Arland Peterson helps kick of this weekend with her 89th birthday bash at the Artists Quarter (8/27-28), surrounded by most of her jazzy offspring and assorted friends. Jeanne’s career is a history of Minnesota music, from her days singing and playing piano for WCCO to performances with the likes of Bob Hope and Sonny Stitt. 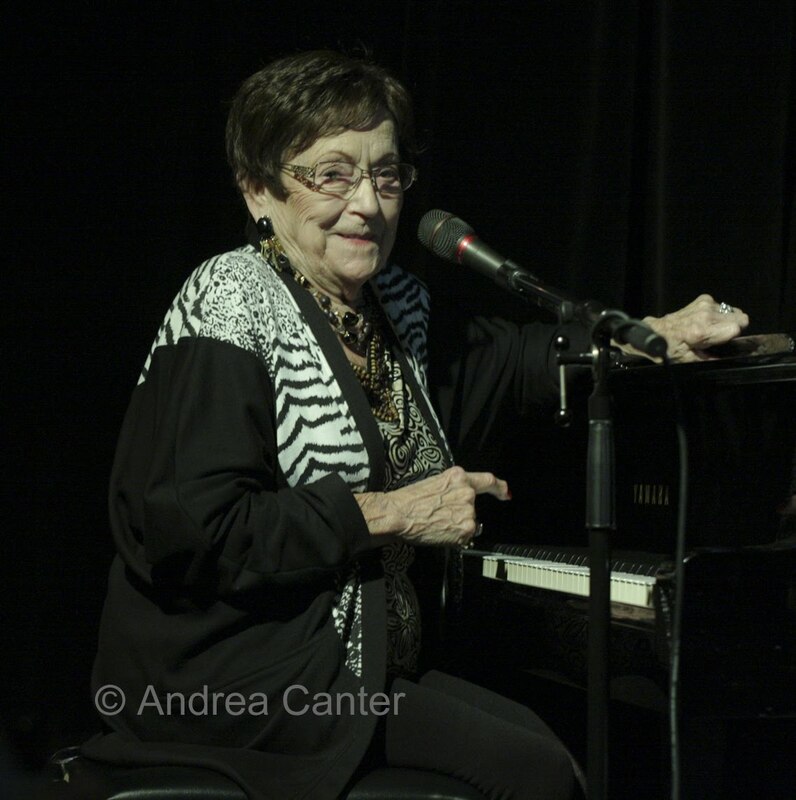 Last year, Jeanne released a retrospective recording, 88 keys, and proceeded to play all 88 in high fashion at her birthday/CD release party. We can expect similar energy and agility at the keyboard this weekend when she’s joined by Billy, Patty, Linda, Paul and more Petersons. Never on stage enough, Ginger Commodore and her GCQ return to the Dakota for one night (8/27) of velvety vocals backed by one of the tightest bands around—Lee Blaske on keys, Mark Weissburg on bass, husband Bobby on drums, and frequent guest Kathy Jensen on sax and Deevo on guitar. Ginger’s range of both notes and emotion in always a source of inspiration. A vocalist who spent some time in the Twin Cities early in her career, Karrin Allyson is now as much of a household name as anyone on the jazz planet, thanks to multiple Grammy nominations and a dozen remarkable recordings. And she plays one mean piano as well! Her latest release is a “best of” compilation, as was her last gig at the Dakota in spring 2009. And Karrin’s “best” is a very deep well to draw from, from French and Brazilian repertoire to Coltrane, Shorter and Porter. And she’s evolved as much as an entertainer as artist, giving us a show that sparkles and sizzles every time. She’s back for two nights at the Dakota (8/29-30). Less known locally, singer Joyce Lyons returns to the Dakota on Thursday (9/2). 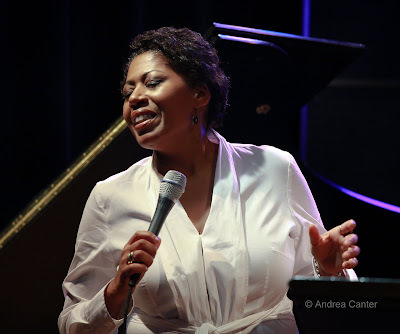 Joyce is a veteran vocalist who moved here from New York about a year ago, and is slowly but surely gaining a reputation as one of our best vocal jazz assets. She swings hard with sure intonation and guarantees that everyone, from the band on stage to her audience, has a lot of fun while enjoying first-class music. Then there’s the usual, long list of jazz gigs around the metro. 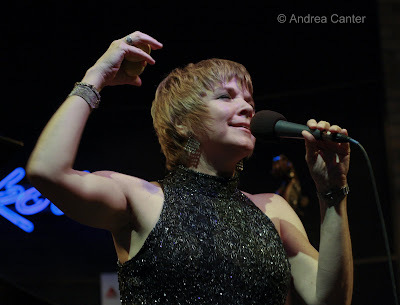 Vocalists: Maud Hixson with Rick Carlson soothes sublimely at Ingredients Café (8/27) and joins Denny Malmberg at Fireside Pizza in Richfield (8/30); Sophia Shorai, hot off her CD release, takes it to Hell’s Kitchen (8/28); Charmin Michelle has her usual busy week, with Rick Carlson at Crave in the West End Shops, and later at Cinema Ballroom on Sunday (8/29), then Wednesday (9/1) with Denny Malmberg (international night) at Fireside Pizza in Richfield; Lee Engele with the Moonlight Serenaders for Music in the Parks at Como Park on Sunday (8/29); the Steele Family (all of them!) are “unplugged” at the Dakota on Wednesday (9/1). Instrumental hot spots: Fantastic Fridays at the Black Dog (8/27); Patrick Harrison’s semi-weekly “Experience” at the Aster Café on Friday (8/27) and again Tuesday (8/31), and a late night gig at Clubhouse Jager (8/27); Eric Gravatt in a rare gig at Café Maud (8/27); James Buckley Trio adding zing to Sea Change at the Guthrie (8/27-28); young drum phenom Sean Carey, solo CD release at the Southern Theater (8/27); Jack Brass at Favor (8/28); Joann Funk at Luna Rossa (8/28); the ever-exciting George Maurer at the Dakota (8/28); the monthly Free Music Society gig at the Acadia Café (8/29); Fat Kid Wednesdays or a reasonable alternative at the Clown on Monday (8/30) and more TBA excitement on Tuesday (8/31); Cory Wong Quartet followed by the tireless Tuesday Night Band at the AQ on Tuesday (8/31); Big Band Night at the Shorewood (8/31); the Wolverines weekly gig at Hell’s Kitchen (9/1); the Dean Granros Trio with Billy Peterson and Kenny Horst at the AQ (9/1).